Welcome to Daft as a Brush Bluebell Bus! A 7,000 mile, 2 year walk to create 1,000,000 Cancer Patient Journeys. Join us on our 7,000 mile walk to travel the length of the coastal footpath walk of both Great Britain and Ireland. This epic journey is to promote nationally, the Charity Daft as a Brush Cancer Patient Care transport service. This is a free of charge service for cancer patients that require to get to and from hospital for treatment. The charity proposes that with Bluebell Bus and her travelling team will get the word out about how “HUBS” can be managed and run locally, to create a Daft as a Brush Service in their local area and therefore, provide nationally, 1,000,000 (1 million) high quality cancer patient care journeys each year. We’re walking anti-clockwise around Great Britain and Ireland then back to Newcastle in circa two years, back in June 2020! Wish us luck! We’re taking the Daft as a Brush charity NATIONWIDE! Brian, Cheryl and Bluebell arrive in Dublin! The start of a 2,000 mile trek and 6 months on the Emerald Isle. Please help Brian and Bluebell on their 7,000 mile walking challenge! A HUGE thank you from Bluebell and her team to everyone who can help her! Did you know…? Everything from food to fuel on the 7,000 mile walk is funded privately by Brian Burnie.This means every penny donated goes directly to the charity to bring FREE cancer patient transport all over Great Britain and Ireland. Bluebell Bus is aiming to raise £4m to take the Charity Daft as a Brush Cancer Patient Care NATIONWIDE with the creation of a network of hubs and the provision of support, financial and administrative, to those persons who wish to set up and operate Daft as a Brush Cancer Patient Care service in new areas. Help us reach our target amount of £4 million. Any amount is greatly appreciated! Our ‘Canny Lass’ is all set for this Daft as a Brush Adventure – 7,000 miles around the coast of Great Britain and Ireland! Where is Brian & Bluebell today? Follow Brian, Cheryl & Bluebell on their 7,000 mile walk. Help plant 1,000,000 Bluebell Flowers! Can you help plant 1 million Bluebell Flowers? One for each Daft as a Brush Cancer Patient Care journey. Let’s get growing! Daft as a Brush Bluebell Bus and Brian Burnie would like to thank everyone who has helped the project so far. Brian’s epic mission to create 1,000,000 free cancer patient journeys all over Great Britain and Ireland would not be possible without the help of so many people. Local, national and international names are continuing to help Bluebell Bus and Brian Burnie stay on the road. Thank you! Experience this exciting concert by Bede Wind for Bluebell Bus! Award-winning Bede Wind is a community wind orchestra based at The Sage Gateshead. Originally based in Springfield School in Jarrow, it was formed in 1989 to allow pupils of the school to continue playing after leaving. It now attracts musicians from all across the north east of England. We’re delighted to announce a forthcoming concert by Bede Wind and Conductor Ernest Young, that YOU could participate in! 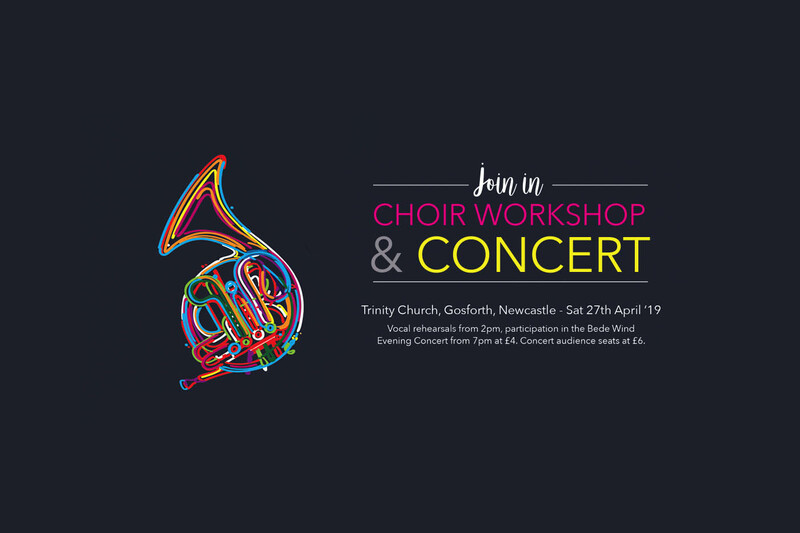 Join us on Saturday 29th April 2019 – Click here for full details. What do patients, volunteers and medical professionals think about the Daft as a Brush service? View a small collection of video interviews; from Chief Executives, Patients, Volunteers and more. We’re proud of Daft as a Brush Cancer Patient Care and are delighted so many people, from all walks of life, share our passion. You can watch our “Real Life Stories” by clicking this link. Our thanks to all those who took the time to be involved, if you have you’re own story and would like to be interviewed, please get in touch. Download hi-res images and video to keep. Track Brian & view his walking history. Watch our short films on Vimeo! Keep up to date with news, progress & more. Join the conversation with Bluebell Bus. Bluebell Bus Brian Burnie receives Prime Ministers award! Who are Daft as a Brush? At the moment, the regions covered by Daft as a Brush are: Northumberland, North and South Tyneside, Durham, Newcastle upon Tyne and surrounding areas. There would be no charge to the patients for our Service. We’re on the road to promote Daft as a Brush Cancer Patient Care with the hope we can expand nationally! The service would entail collecting and transporting the patients in a safe and comfortable environment, from where they are living, taking them to where they will be having their treatment. If required staying with the patient whilst they have their treatment and then bringing them back home in readiness for their next course of treatment. Learn more about Daft as a Brush by clicking here.